The first post on Vim and SAS I read is by Xiaowei Wang in Chinese. The original SAS syntax file took from Zhenhuan Hu. 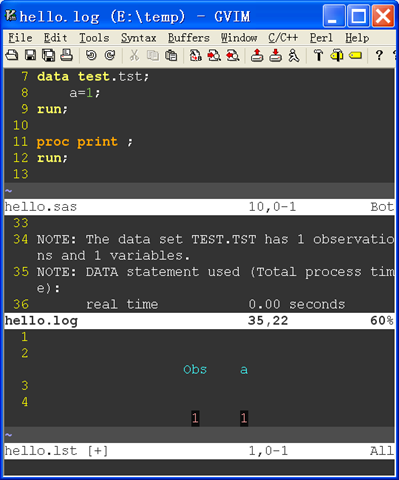 Kent Nassen also maintains some Vim functions to run SAS codes and check log.